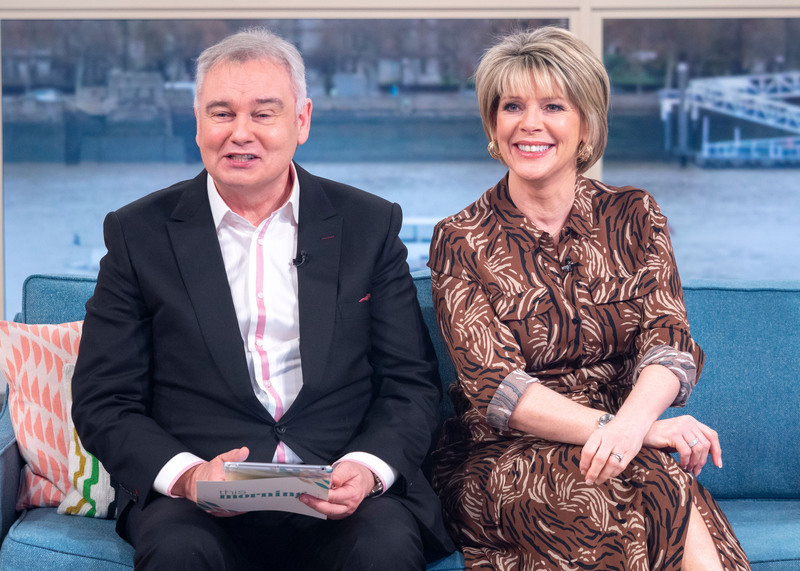 Eamonn Holmes is taking a trip down memory lane after sharing a beautiful throwback photo of his wife Ruth Langsford. The This Morning presenter was sent the old image by a fan on Twitter, and he was thrilled to “relive the past”. The image sees a younger Ruth sporting brunette hair and beaming into a camera as she smiles alongside her colleague. Anyone else got any old photos of me or Ruth tucked away ? Another said, “She’s like a fine wine”. The blast from the past image prompted Eamonn to ask his followers for any other old photos they may have of him or Ruth. “Anyone else got any old photos of me or Ruth tucked away? Great reliving the past,” he added to the original tweet. His question was quickly answered as a slew of old photographs and sweet memories started filling up his timeline. Fans who have met the presenters over the years started sharing their snapshots and memories of the couple.